The Haartz Corporation knows that when it comes to automobiles, innovation is the name of the game. That’s why Haartz invests a lot of time and effort into developing materials that not only look great, but perform great. 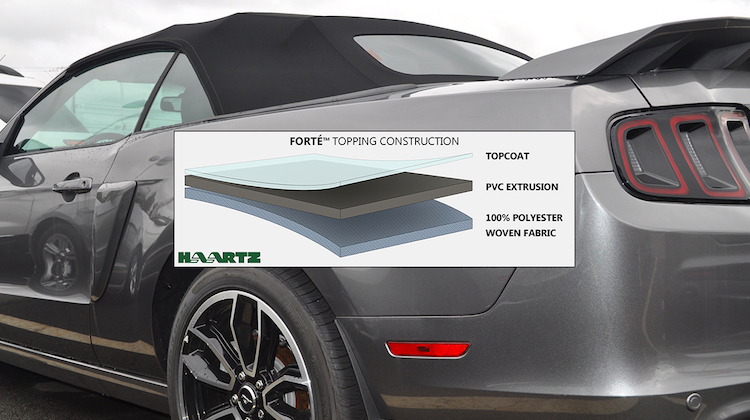 Whether manufacturing convertible topping, tonneau cover material or interior trim materials, Haartz strives to set new trends and push technology forward. 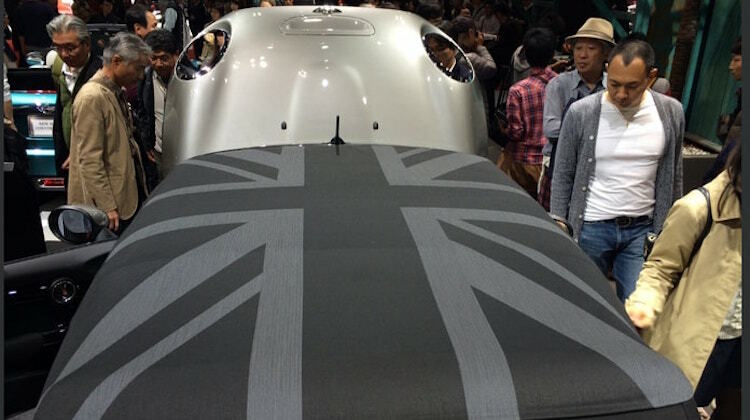 Doing so has made them a global leader of automotive textiles. Haartz helps automakers reduce the weight of vehicles by manufacturing light-weight materials that don’t sacrifice aesthetics, quality or functionality. Doing so helps to increase fuel efficiency, save drivers money and protects the environment. 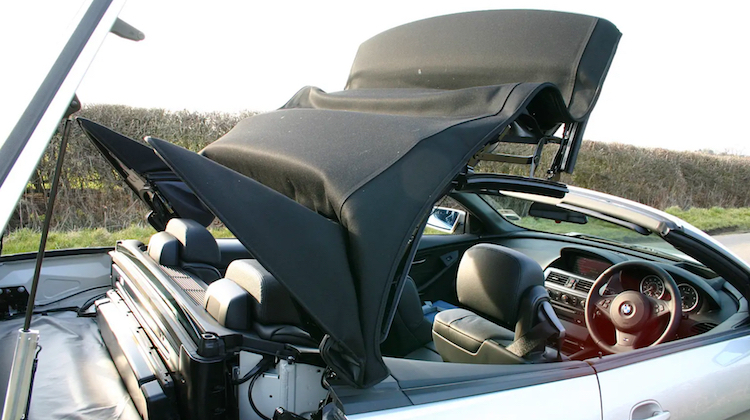 Of course, this doesn’t just apply to Haartz’s topping, but its tonneau cover and interior fabrics too. For some of Haartz’s Alura® TPO-coated knit products, weight reductions of more than 40 percent can be achieved in comparison to traditional PVC-coated knits. Haartz takes acoustics seriously because they know that a quiet cabin is an enjoyable cabin. They developed acoustic technology accordingly, that keeps cabins topped with their fabric just as quiet as those topped with traditional hard roofs. That means you can talk on the phone, hold a conversation with passengers and comfortably listen to the radio at a low volume without interruption from road noise. Haartz engineers value form as much as they do function. That’s why they manufacture materials in a range of eye-grabbing colors, textures and coatings. What’s more, Haartz has revolutionized soft top design with jacquard weaving technology. 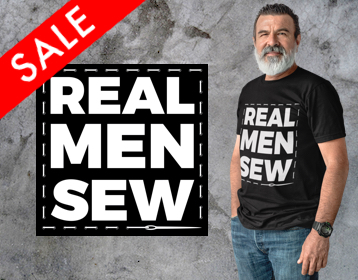 This allows them to customize tops with just about any pattern or image that automakers want. 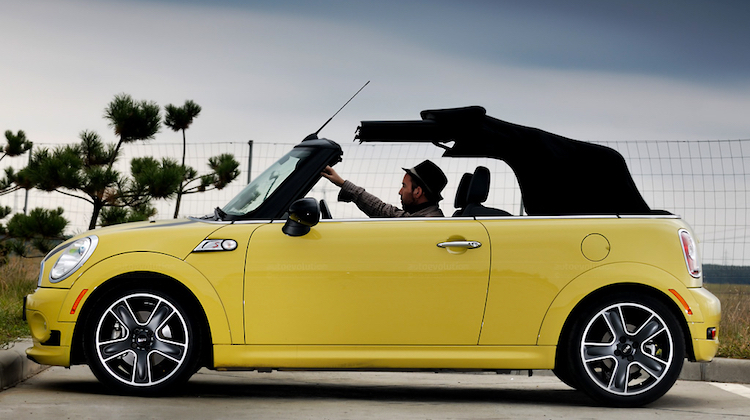 The result is a convertible car that’s just as attractive with the top up as it is when down. Haartz’s materials are designed to withstand the elements. That means they don’t fade under the sun, turn brittle, crack or tear easily. To prove it, Haartz recently put its topping through rigorous quality-assurance tests – measuring color transfer, flexibility and inner layer cracking, water proofness, tensile strength, stretching and tearing. Unsurprisingly, Haartz out-performed competitors in every category. Haartz is always seeking ways to make their topping more innovative and multi-functional. 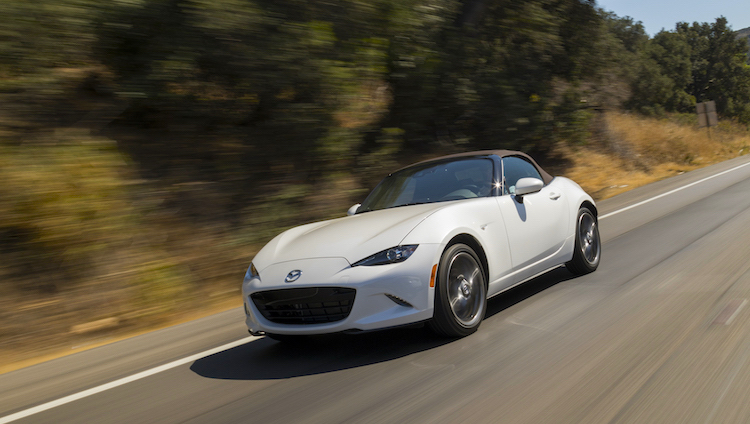 In fact, they’re constantly challenging themselves to keep soft top materials in step with other automotive innovations. For example, Twillfast CR has a special butyl rubber inner-layer that minimizes the appearance of creases on a folded roof. That’s not all, Haartz is working with infrared-reflective pigments to deflect the sun’s rays and keep cabins cool. They’re also developing self-cleaning surfaces. The Haartz Corporation is a world leader in highly engineered and uniquely designed convertible toppings. To learn more about Haartz, visit Haartz.com and follow them on Facebook, Twitter and Instagram.